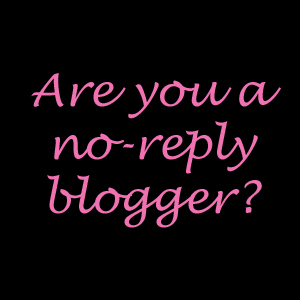 No Reply Blogger?! | Back Home Again: No Reply Blogger?! Go to your Dashboard, click on edit profile and make sure you check show my email address. Don't forget to save your profile! I had this happen to me and i had a nice person point it out to me and help me change it and i'm glad they did. but now i'm sad b/c i have people following me but when i go to see their profile there's no blog link to go to. what's this mean? That person has to enter their website or allow their blog to be shown. It's aslo possible they just don't have a blog.